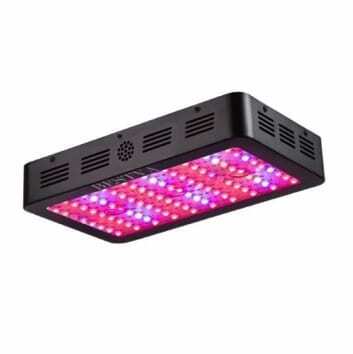 There has been a significant advancement in agricultural technology today, and one of such is the use of 1000 watt LED grow lights. LED grow lights are a particular type of energy-efficient light that serves as an excellent alternative for inside germination or cultivation. Compared to other types of grow lights, LEDs do not need to burn any filament; instead, they create a spectrum of light through the passage of light via certain semiconductors. They are majorly used as a sole alternative for indoor germination or growth most especially when an undispersed light is needed for such process. Also, they can be used alone or combined with other sources of light and are most applicable for cannabis growers. LED grow lights come in various sizes and shapes, but the essential part of each 1000 watt LED grow lights are the LED chips. They have the most significant effect on the quality of each light, i.e. colors and brightness produced. Usually these 1000 watt LED grow lights are perfect for a 4×4 grow tent. Since LED grow light manufacturers can select the LEDs they use in their lamps, it is vital for you to understand the type of light that is suitable for your kind of growth. Like we have mentioned, lots of cannabis is best grown with a 1000 watt LED grow light. Therefore, we present you a list of the best grow lights of this kind. 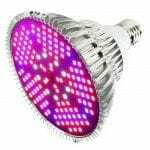 Its use has been on the increase lately, and it has been proven to be one of the best LED grow lights available today. It is powerful and has a great price/quality ratio. 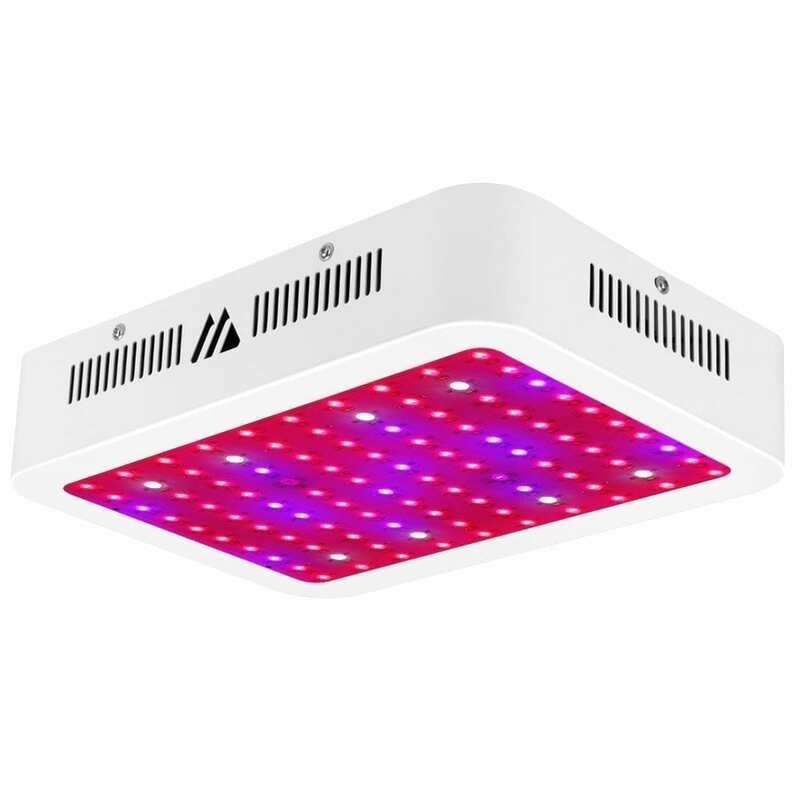 This LED grow light is a popular choice among many growers. 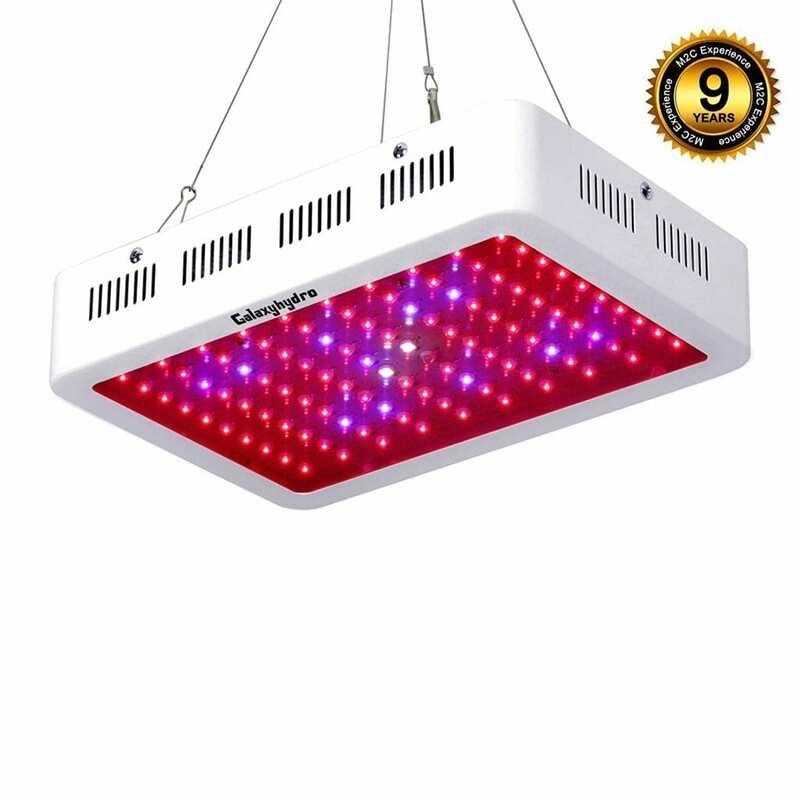 The Bestva LED grow light contains 10W chips, not the usual 3W or 5W. This enables the BESTVA to produce brighter and more efficient light by emitting a high PAR/LUMEN output for each LED. Also, the BESTVA DC LED light can conveniently deliver coverage of 5.1×4.7 ft at a height of 2 ft above the canopy of your plant. The Bestva DC LED Series 1000 watt grow light has a robust system of cooling fans. The system helps to control the intensity of light and heat that might emanate from the light, and in turn, protects the plant from excessive heat and light. The BESTVA DC 1000 watt LED grow light functions at a temperature of 50-60 Fahrenheit which gives it a lower operating temperature than competitors. When you’re looking for a reasonably priced 1000 watt LED grow light, the Roleadro GalaxyHydro 1000w is an excellent option for you. One of the great specs of this light is its ability to cover a wide spectrum range due to its 9-band full spectrum. The grow light includes a spectrum of 430 to 730nm. Therefore, it can be used to grow a wide range of plants. The Roleadro GalaxyHydro 1000 watt LED is also built with the right amount of infrared and UV light, which promotes the photosynthesis of plants and protects it against harmful bacteria. Also, Roleadro GalaxyHydro 1000 watt LED grow light boasts an impressive 9:1 ratio of the red and blue spectrum. This improves the color and health of the plants. Another great component of these lights is that it has a good heat dissipation mechanism. Two ETL-approved high-speed cooling fans keep the temperature in control. 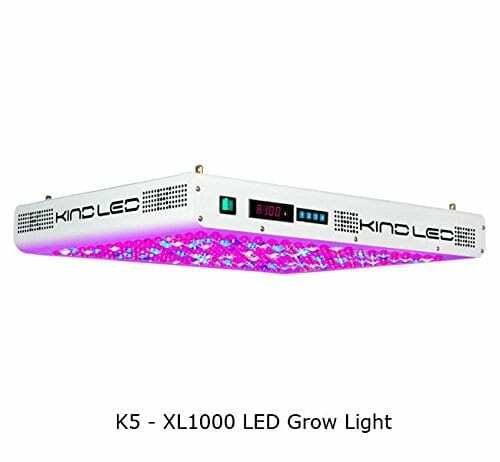 The Kind LED K5 XL1000 is a 1000 watt LED grow light we have developed a great interest in lately. You’re going to find out why. A 1000 watt LED grow light such as the Kind LED k5 XL 1000 is a direct guarantee for success when growing your cannabis. The Kind LED K5 has won several merit awards for several years. This is due to the peculiar features that it possesses. These features include 320 diodes that are a mix of a 5w and 3w chips. The 5w provide better light penetration to the canopy, but it generates a lot of heat in the process. This is moderated by the 3w diodes that lower the average temperature output. Secondly, it consumes less power than average; it uses about 630W to provide the same amount of light that a 750-watt HPS setup would. With these features, less electricity is consumed, and you won’t need additional cooling fans. Another spectacular feature of this 1000 watt LED grow light is its precision control, which has been designed for professional growers. It gives them full control over the 12-band spectrum as well as the light cycles. The spectrum of Kind K5 XL1000 LED grow light can be customized to suit your requirements. With this, you can customize the 12-band spectrum to satisfy the growth of your plant at any stage. This gives it a great advantage over competing lights. This lamp has a variety of uses as it can be used for cannabis growth, flower exhibitions, and greenhouse cultivation. It comes with 10w diodes, which gives it the ability to produce intense light with lower heat emission. One distinctive feature of this 1000 watt LED grow light is its triple chip LED technology that promotes faster growth for your plants. It works better on plants compared to the conventional double semiconductor of 3w and 5w. The significant advantage is that it can grow your plant faster, save you time and it is scientifically engineered to the balance of your PAR/lumen output and coverage. Another great feature is its full spectrum of light is ideal for most indoor plants. It has two great cooling fans and heat sinks that keep the light cool and helps it to work longer. Finally, the lamp is very reliable internally of its energy saving capacity, which saves more money than an HPS/MH lamp! The Dimgogo 1000w is perfect for a 5.1′ x 4.7′ growing area at 24″ height. This 1000 watt LED grow light is built in such a way that it covers a wide range of spectrum colors including white and blue. 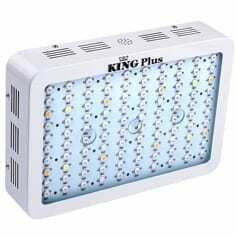 The King Plus makes it an ideal light for vegetation and blooming. It also has infrared and UV light that helps for the photosynthetic process and protection against disease. The king plus 1000W LED grow light has an excellent heat dissipation system that prevents the product from the release of excessive heat. It also keeps the light cool. Another superb feature of the LED grow light is its efficient power consumption. It’s rated to output a 1000 watts, but it ends up consuming only about 180W of power. This amount of energy saving is extraordinary for a LED grow light. In conclusion, many indoor growers have been consistently on the outlook for the best set of lights for their plants. 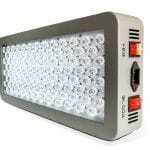 The 1000W LED grow light is great for your 4×4 grow room. And if you have to make a decision about which light to buy, you have to consider multiple aspects. Among others, this would be most importantly: the spectrum coverage of the light and the ability to keep a low output temperature. Moreover, considering the power rating of 1000 watts, you need to look out for the ones that will consume the least power. This way you can save on your energy bill. However, all of these will depend on your budget. The list of 1000 watt LED grow lights above contains a good option for every grower. We wrote many lists of LED grow lights with various wattages. 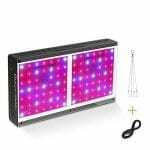 Maybe you’re interested in the best 1200 watt LED grow lights or 600 watt LED grow lights. Maybe, you are interested in grow tools? Check out the best grow light movers, PAR light meters or carbon filters. This article is about the best 1000 watt led grow lights out there in the market, right now. We guide you through the best options for every budget and tell you what you need to know about every light.